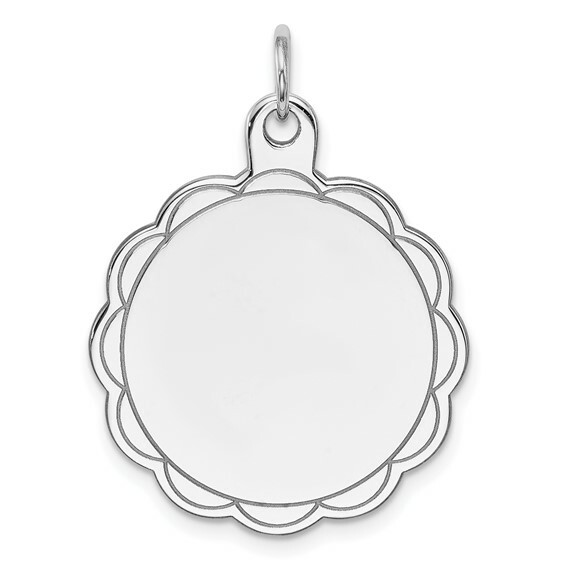 Sterling Silver Engravable Disc Charm has scallop edges. Dimensions: 7/8 inch tall by 7/8in inch wide without bail. Weight: 2.75 grams. .027 inches thick. Made in USA.